Shop incredible deals on our Brother HL-l2315DW Toner Cartridges for unbeatable savings on all orders. We here at 1ink.com don’t believe that you have to take a big hit in the wallet in order to get high-performance print toner. That’s why we offer our OEM-quality engineered toner cartridges at great low prices every day, guaranteed. We want all of our customers to shop with confidence and peace of mind every time they order with us. Our professional-grade toners are specially designed and built to Brother’s original manufacturing specifications so they won’t void your printer’s warranty. 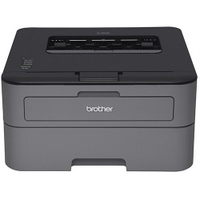 The Brother HL-2315DW Printer works with the compatible Brother TN660 Toner Cartridges that deliver rich, dark black text on all your printouts without smudging. This toner delivers an approximate high yield of 2,600 pages and our compatible Brother DR-630 Drum Units with an estimated lifespan of 20,000 pages. We stand by each and every one of our products, that’s why we back them up with a 1 year warranty as part of our 100% customer satisfaction guarantee included on all orders.